Come Out & Play » Kill the Kraken! 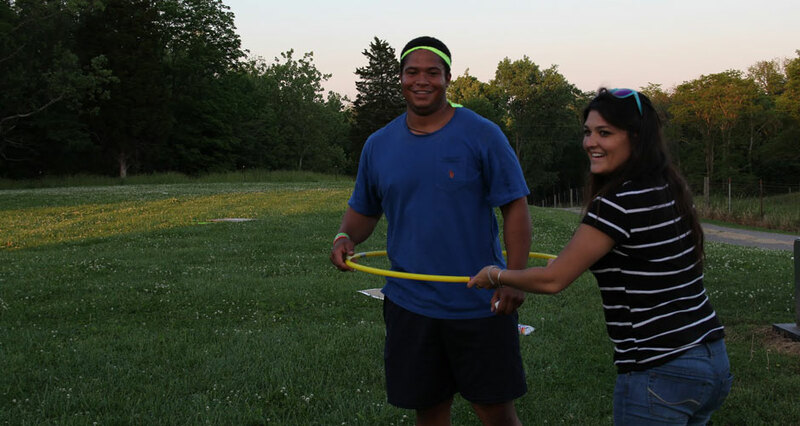 Pool noodles, throwing socks, basket poles, and hula hoops come together for one fierce game. A fast paced asymmetric-team field game for eight to fourteen players, Kill the Kraken! is inspired by Humans versus Zombies and simulates a humans-versus-monster scenario — but rather than pitting human players against a horde of zombies, Kill the Kraken! pits them against a single giant enemy. 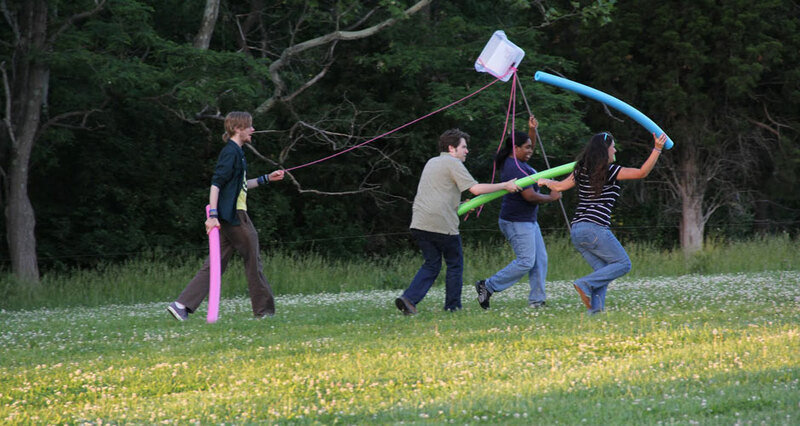 One team takes on the role of the Kraken, all connected by yarn and running rampant with pool noodles. The other team plays as the humans, tasked with defeating the Kraken via throwing socks. The rules are easy to understand even by non-gamers, and as a round of Kill the Kraken! lasts between five and fifteen minutes, it provides a quick, fun field experience. James Earl Cox III is a game person who makes games. As of now, he has created 30+ freeware games. He will be going to USC’s game design program (as of Fall 2014). James was part of Miami of Ohio’s Human vs. Zombies team for 4 years. On the team, he crafted the overall plot, the missions for play, as well as special zombie units and special human weapons.